M.E.C. 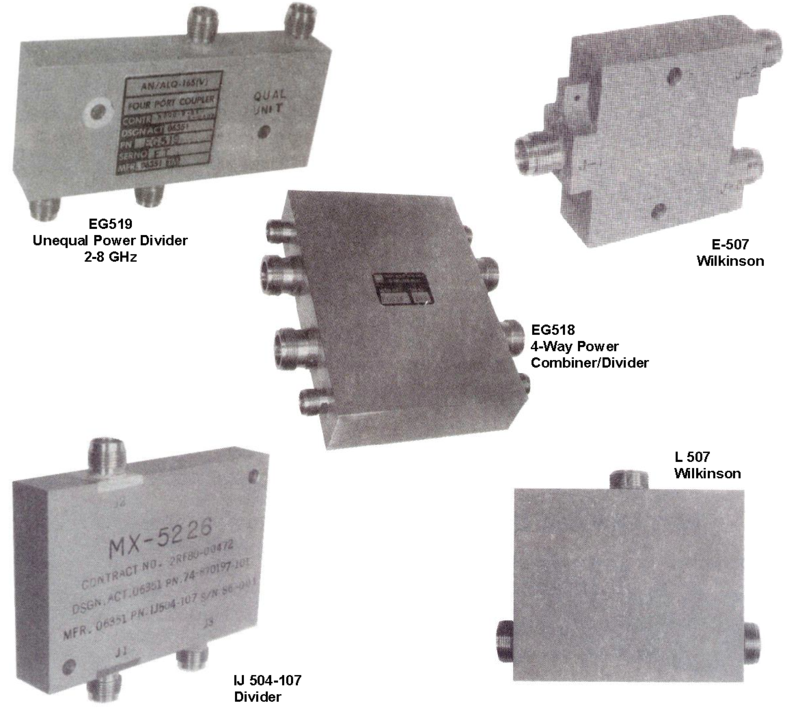 offers a full line of coaxial quadrature hybrids (504 Series), coaxial directional couplers (C600 Series), and multi-port coaxial power dividers and combiners in the most popular frequency bands and power levels. M.E.C.’s 504 Series consists of the four-port hybrid or 3-dB coupler which, in its most common use, divides an input signal incident at J1 into two equal signals at J2 and J3, with the fourth or “isolated” port J4 receiving a negligible fraction of input power. Also, the split signals are in quadrature phase relation with the direct or “thru” output phase delayed i.e. shifted by -90° relative to the “coupled” output. Used in reverse, these hybrids may also combine two signals fed at J2 and J3 into either port J1 or J4 depending on whether the phase of J2 relative to J3 is -90° or +90° respectively. This characteristic is invaluable in power combing and in switching networks. While most hybrids of this type are mass-produced using stripline PC-board dielectric and photo-etching techniques, M.E.C. hybrids have lower loss dielectric materials and more rugged internal circuitry resulting in much lower insertion loss, higher power handling, and greater stability over temperature extremes. Due to their outstanding electrical characteristics and superior construction, M.E.C.’s coaxial hybrids have been selected for the harshest environments of ECM systems onboard many of the most advanced military aircraft. They exceed the requirements of MIL-E-5400 for non-conditioned compartments and have undergone extensive qualification testing including high power, temperature, altitude, vibration, shock, humidity, salt-spray, sand, and dust testing. 504 Series coaxial quadrature hybrids are available with many options including internal terminations, pressure sealing, higher power versions, and a large assortment of coaxial connectors and mechanical configurations. They may also be networked together into integral N-way divider/combiner assemblies for high power summing and phased-array applications. Coaxial connectors are passivated stainless steel and solidly anchored into an aluminum body. Finish is chromate conversion per MIL-C-5541, Class 3, and paint is gray epoxy enamel. For applications requiring unequal power splitting, M.E.C. 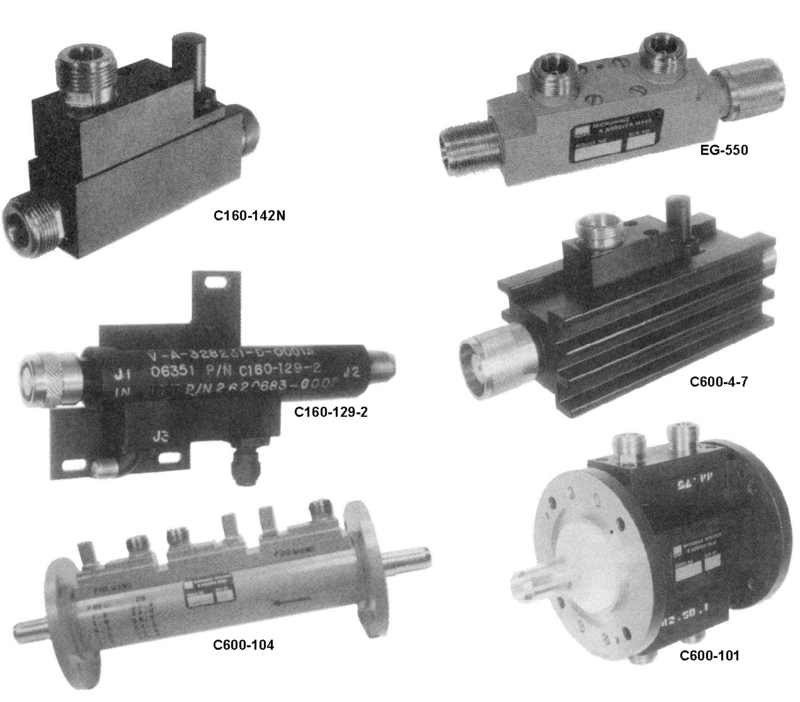 offers its C600 Series of coaxial directional couplers. These couplers are well suited for power sampling, frequency, and gain control loops, or to provide a loosely coupled path for system test and diagnostic signal injection. The mainline is usually straight through with one or more independent coupled ports located on one or both sides. Each may have its own coupling direction and level, typically in the –10 to -60 dB ranges. 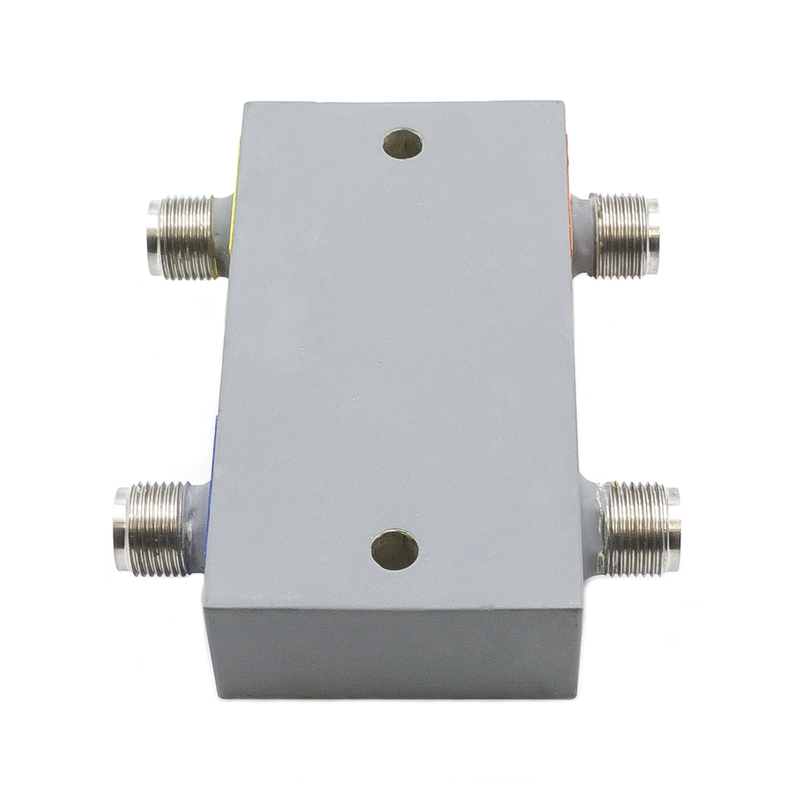 Unlike non-directional power samplers, C600 Series couplers have directivity typically 15 to 25 dB which assures coupling accuracy in the desired direction and reduced errors caused by signals propagating in the reverse direction such as those due to mismatches in the main transmission lines being sampled. 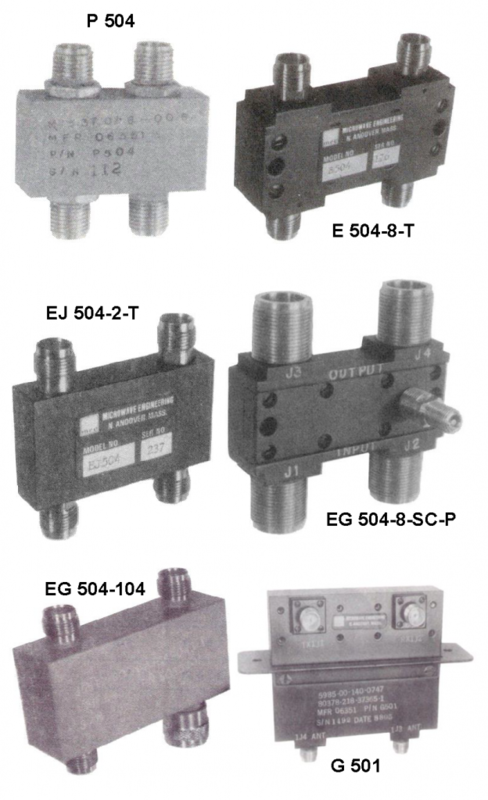 Below are some examples of C600 Series couplers, M.E.C. would be happy to customize one for your application. Multi-port dividers and combiners are a specialty of M.E.C. These units usually require networking several couplers along with internal terminations and phase matching structures into an integrated assembly. Besides quadrature couplers, M.E.C. has used Wilkinson power dividers, rat-race ring hybrids, and other types of splitters depending on the frequency, bandwidth, power, isolation, phase and space requirements. M.E.C. would be happy to analyze your specific application, discuss trade-offs, and recommend the most appropriate design. (1) Select the model number based on band required. (2) To specify connectors, add suffixes to the model number from the table below. 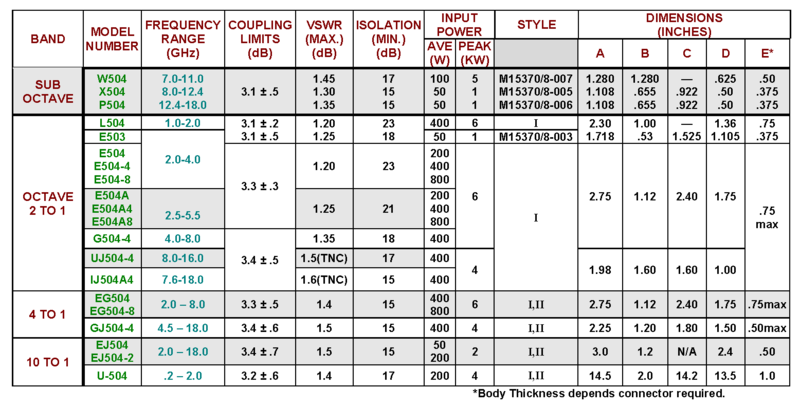 Also, note maximum frequency and power limits shown.